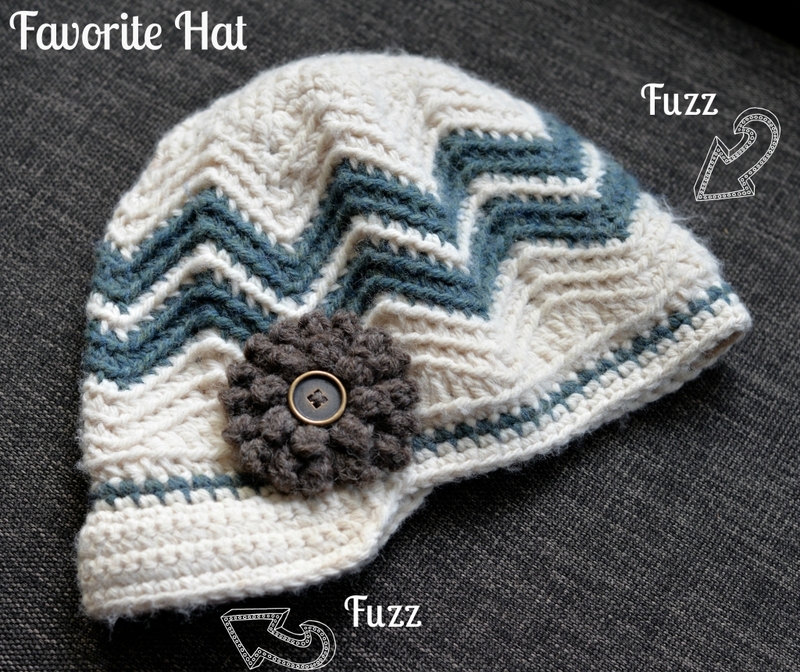 Do you have a favorite hat that you’ve tossed aside because you’ve worn the love out of it? Is it now stuffed into a storage cube that’s sitting on a shelf in your coat closet because it’s all covered in fuzz? 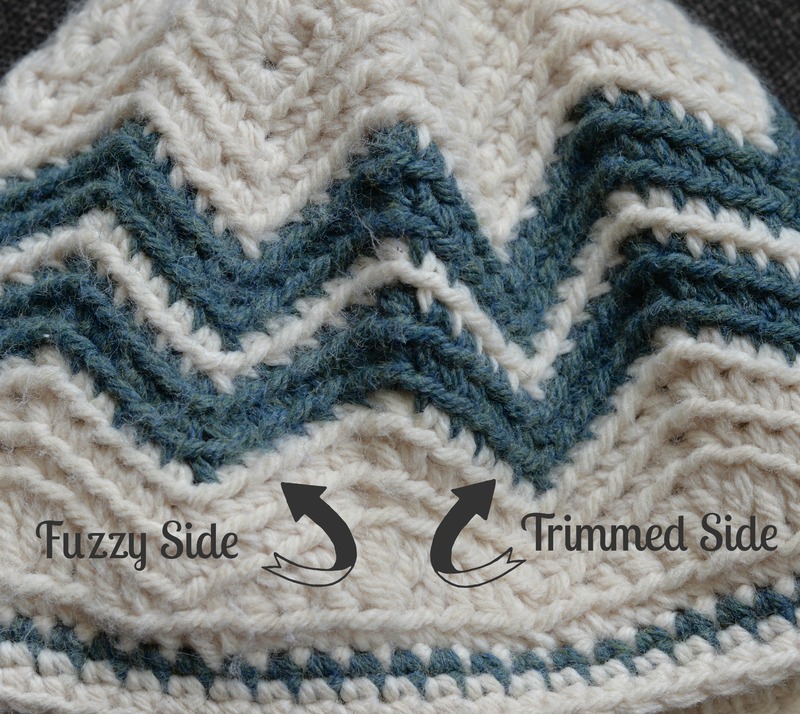 I have one… It’s my “Chasing Chevrons” Newsboy (click here for pattern). It’s been stuffed into a storage cube since last winter all because it’s gotten fuzzy. 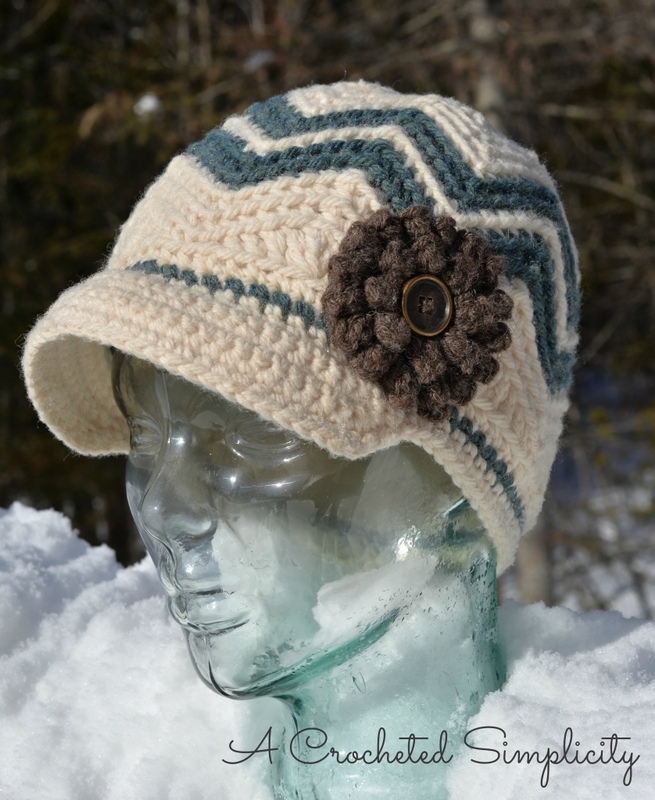 Sure, I could crochet a new one, but why go thru that if there’s a simple fix? 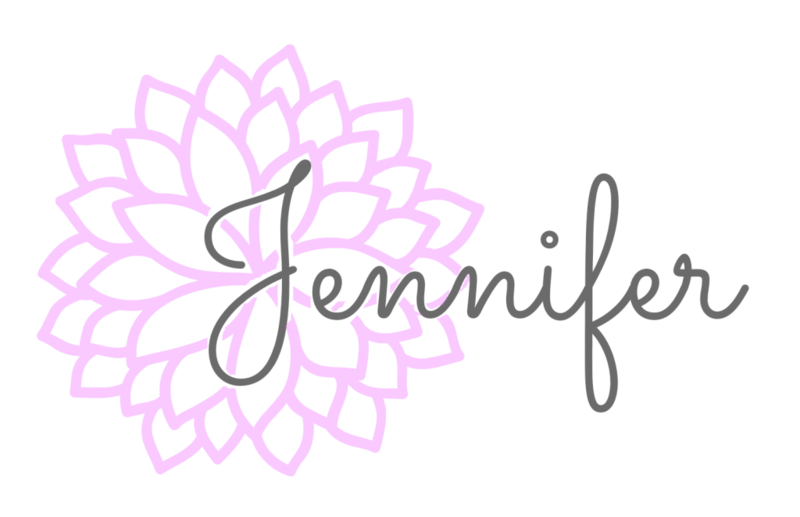 And besides, I have a severe case of crochet ADD and do not like to make more than one of anything (even slippers). What about an afghan? Do you have a favorite afghan that lives on your couch until someone comes to visit and you quickly stuff it in a closet? (Hmm, another closet. They come in handy for hiding things, don’t they?) You hide it in a closet because it looks like it’s growing hair and you worry that your friends will ask if you’ve gotten a new lap dog. I have one of those too! My favorite is an afghan that my grandma crocheted for me when I was 4 or 5. It is currently sitting on a shelf in my closet because it is in need of some tender loving care. What if I told you that you could easily breathe new life into your old favorites? What if I told you that this simple technique would make them look like new? Say what?!?! Yes, that’s right! 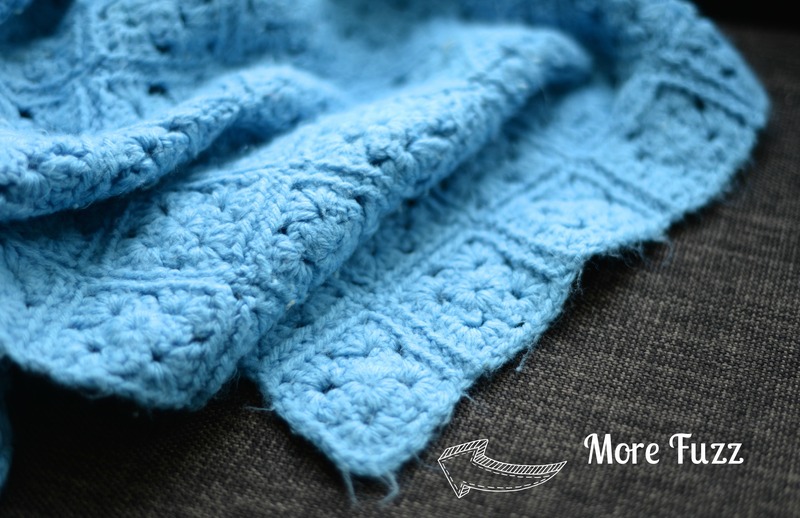 Using this simple technique and only 2 items, you can rejuvenate your old crochet items and make them look like new again. 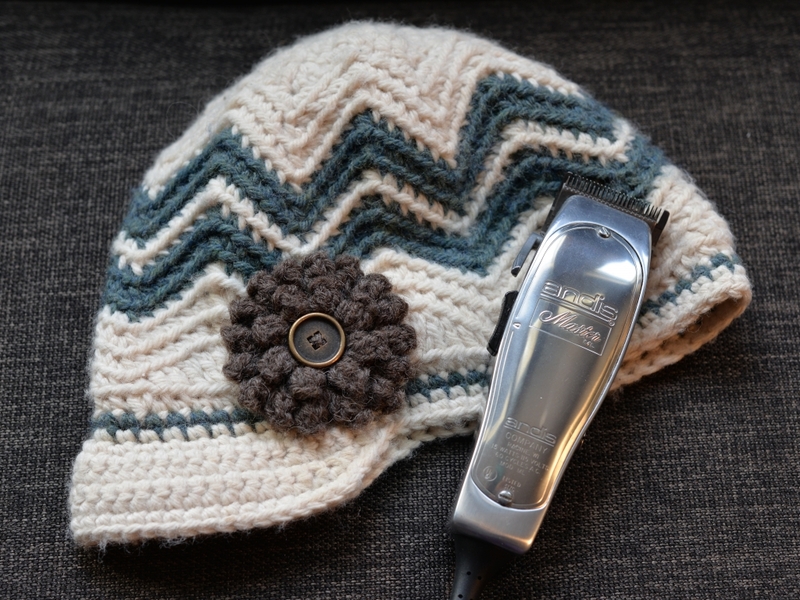 Or if you’re lucky enough to find one sold in a store near you (or you can order on Amazon with our affiliate link below), you can purchase a small Fabric Shaver to de-pill. Shown below. It’s really simple! All you do is use your clippers to trim the fuzz off. Note: make sure that you pay close attention to where the blade of your clippers is at all times. Make sure that you’re always working towards you so that you can see the blade. You don’t want to accidentally cut a stitch. Always run the clippers parallel to your garment. Running then perpendicularly will be a sure fire way to cut a stitch and send your beloved hat to the garbage bin! In the picture below, I trimmed a section on the right side of the hat. Note the color difference of the chevrons; they’re much more crisp now. 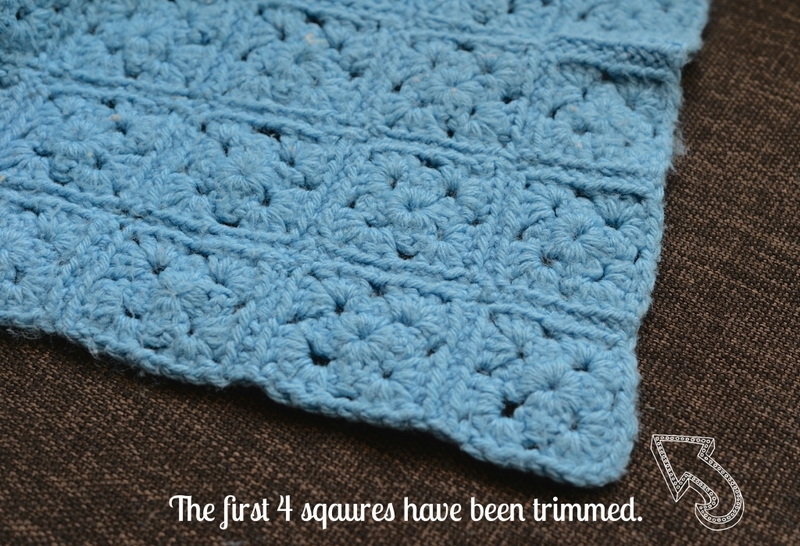 I’ve trimmed 4 squares in the bottom corner of my favorite blanket and have taken a comparison photo as well. Can you see how much nicer it’s beginning to look? It looks Brand-New again! Not only are the fuzzies gone, but the colors of the yarn and the stitches themselves look so clean and crisp again. Scarves & Cowls: Do you or your kids have velcro tabs on your jackets that want to cling to your scarves and cowls? Jewelry: Do you have a favorite crocheted bracelet that rubs on everything just from regular wear? 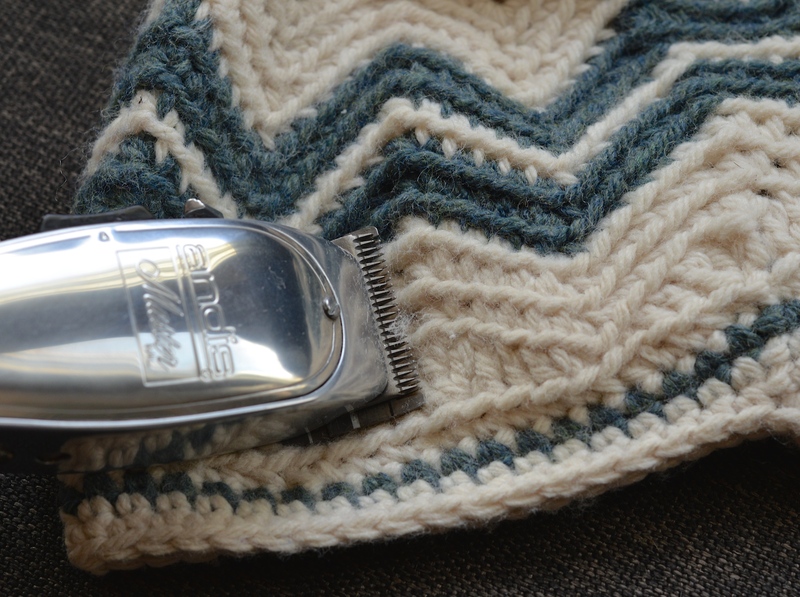 Purses & Yarn Bags: Have you washed your favorite bag several times to bring it back to its’ original shape and it’s caught a severe case of the fuzzies? Are there any other items that you can think to try this on? I hope you’ve enjoyed this quick tip and I hope that it helps you to breathe new life into your old favorites so that they may become new again! 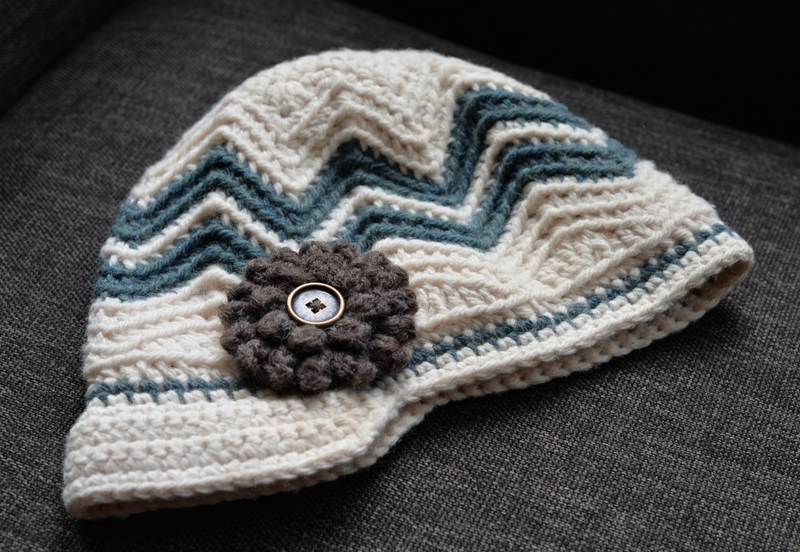 You can find my “Chasing Chevrons” Newsboy pattern in all 3 of my shops: Ravelry, Craftsy & Etsy. Great idea. Can we have the hat pattern? I love it. 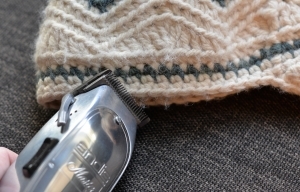 Much safer and easier to use a sweater de-piller.